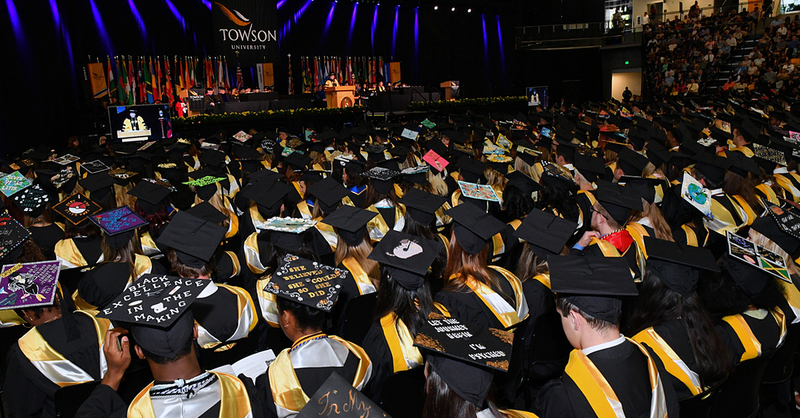 Each year, Maryland’s colleges and universities graduate thousands of bright students eager to join the workforce. However, when studying the labor market, one thing becomes painfully apparent, as many recent grads can attest to: the competition for some jobs can be fierce, while for other occupations employers can’t find enough qualified candidates. To understand what occupations are in the highest demand, as well as what jobs college students should shy away from, the Towson University Regional Economic Studies Institute (RESI) recently completed a gap analysis. A gap analysis looks at the occupations within Maryland and compares how many jobs employers are demanding to the supply of recent college graduates. The difference between supply and demand is the gap. When a gap exists, positions either continue unfilled or are filled by graduates from outside the state. To conduct the gap analysis, RESI used our proprietary Predictive Regional Occupational Matrix (PROM) tool to forecast job openings over the next three years. Job openings can either be caused by growth in the occupation or someone exiting the labor force. Then, RESI looked at the supply of college graduates in the state using data from the National Center for Education Statistics (NES). Within NES, the Integrated Postsecondary Education Data System (IPEDS) contains annual information on the number of graduates by major for every school in Maryland. RESI collected this data for the past three years and took an annual average to determine the supply of new graduates. Using a crosswalk from NES which matches college majors to occupations, RESI then allocated this average estimated supply across occupations. So, if you’re a college student in Maryland right now, what are some jobs you should focus on preparing for? One of the biggest gaps is for Management Analysts. RESI projects that there will be 1,197 job openings each year and only 609 college graduates taking those jobs. That’s a gap of 588 jobs each year. Management analysts find ways to improve the efficiency of other businesses and are employed by some large companies in the area, including McKinsey, Boston Consulting Group, or Bain & Company. Interested in one of these jobs? US News and World Report ranked Management Analysts as their tenth best business job, and according to BLS data, the average salary is $96,490, well above the average Maryland wage. Majoring in Business or Management is a great start, and Maryland has some excellent programs to help get you started. Another occupation RESI projects will be short-staffed are Construction Managers. Over the next three years, RESI projects that there will be 648 job openings and only 251 recent Maryland graduates to fill those jobs. Construction Managers, the best construction job according to US News and World Report, plan, direct, and coordinate construction. A Construction Manager can oversee all aspects of new construction, including scheduling, organization, and budgeting. The average salary for a Construction Manager in Maryland is $103,190. Interested in becoming a Construction Manager? Majoring in Civil Engineering or Construction Management will put you in the best position to succeed. Love numbers? RESI projects there will be 355 job openings each year for Accountants and Auditors in Maryland that will go unfilled by local graduates. Accountants and Auditors make an average salary of $80,580 in Maryland. Like numbers but more interested in finance? RESI projects a shortage of 336 Financial Managers, 225 Financial Specialists, and 207 Financial Advisors each year for the next three years. These jobs pay well, with average salaries ranging from $70,000-$130,000. In keeping with nationwide trends, RESI is projecting a shortage of workers in a variety of different healthcare occupations. Over the next three years, RESI is forecasting an annual shortage of 241 Health Diagnosing and Treating Practitioners, 167 Healthcare Social Workers, and 125 Nurse Practitioners. Want more insights into Maryland’s economy? Stay tuned to this blog or contact me to see how RESI can provide the data to solve your problems. Michael Siers is the senior research manager at the Regional Economics Studies Institute. He is charged with managing RESI’s projects for private companies and state agencies, as well as leading the development of RESI’s independent analyses. Michael leads the creation and implementation of RESI’s research methodologies and is especially interested in workforce development in the state.